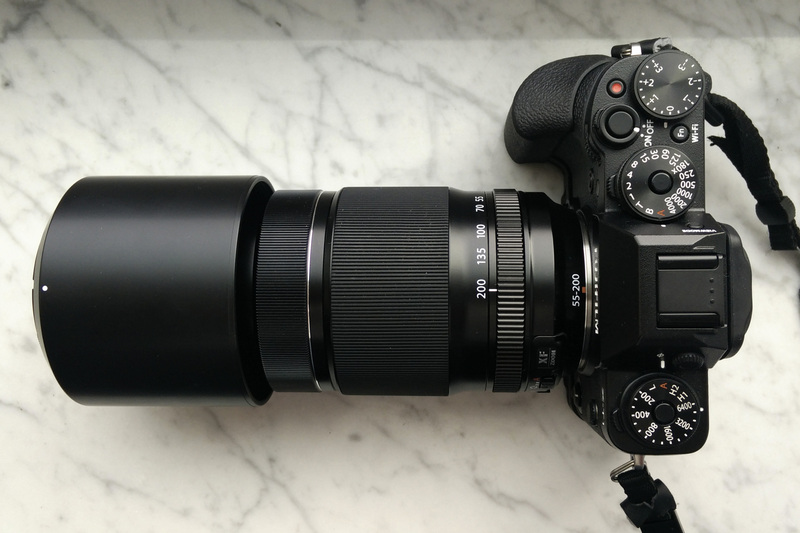 Fujinon XF 55-200mm – any good for portrait photography? After a while I got back on track with writing my impressions on Fujifilm gear. This time I would like to share with you my opinion on using the middle-class telephoto zoom from Fuji, the Fujinon XF 55-200mm F3.5-4.8 R LM OIS, especially when used for portrait photography. Why “middle-class”? Because under this lens there is a cheaper XC 50-230mm F4.5-6.7 OIS with a plastic body, but with the same great Fujinon optics and above that, there is the pro-grade telephoto zoom XF 50-140mm F2.8 R LM OIS WR, which is almost everything you need from a classic, professional, constant F2.8 aperture, 70-200mm focal range lens, in terms of Full-Frame coverage. 75-210mm, to be more precise. So, for a kind of compromise, between IQ and affordable price, you get the XF 55-200mm with an aperture ring and image stabilization, a good complement to the standard Fujinon zoom XF 18-55mm F2.8-4. 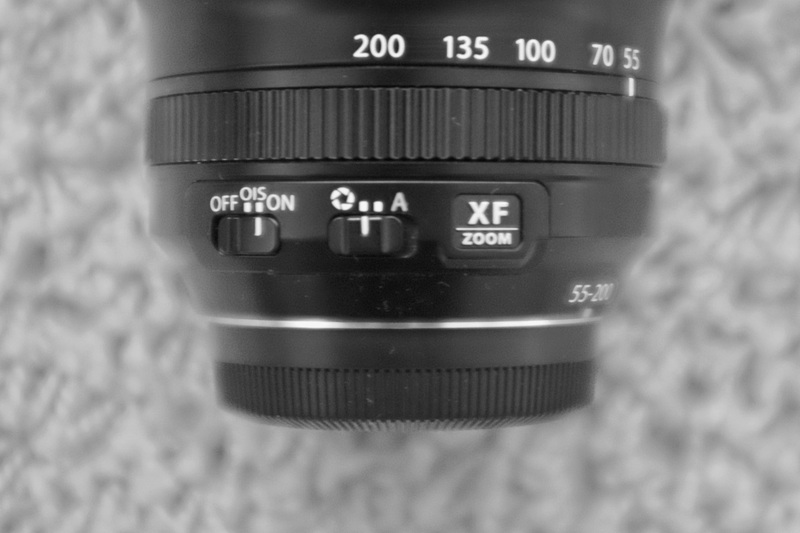 And the pro-grade XF 16-55mm F2.8, which I have and love. And why portrait photography? I guess many Fujifilm users already know this lens is quite good for landscape, for reaching further subjects. The lens is very well-balanced on a Fujifilm X-T1 body (I use my camera with a hand-grip attached and it gives me extra grip and comfort). At the far end of the focal length (200mm which on a 1.5x crop format sensor it means 300mm in terms of Full-Frame field of view), the lens extends itself quite a bit, as you can see in the image above and below. The plastic lens hood just add some extra length to this lens. But for portrait photography? 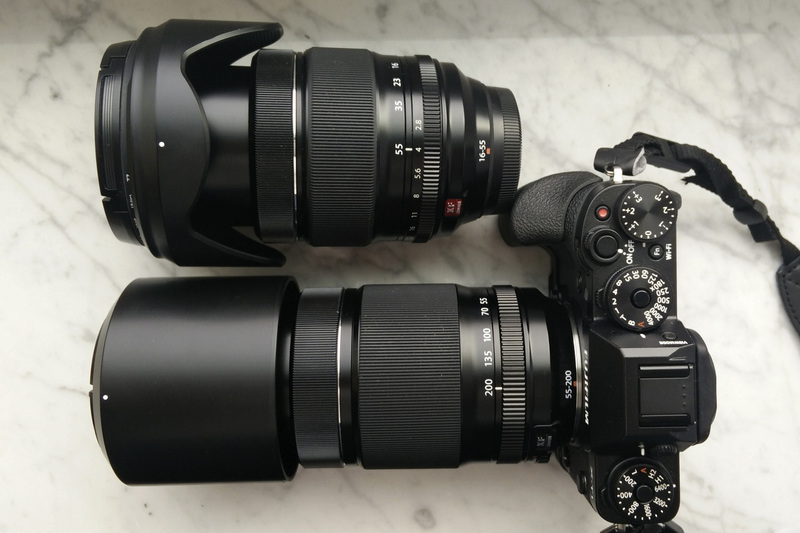 There are many other better choices, of course and Damien Lovegrove has a very useful point of view in his article on some excellent portrait lenses from Fujifilm, the new XF 90mm F2.0 versus the XF 50-140mm F2.8 OIS zoom lens. After reading his opinion and listening to his direct advice on what should I do to get the best out of my lenses, I had to prepare myself and my existing gear for shooting a model for a make-up artist. Having some of the finest optics in the world for this category of lenses, backed-up by an amazing Optical Image Stabilization (at least 3 stops, for sure) I did my job for my portrait shots, working at 90-100mm and at F4.0. The sharpness and IQ of this lens are simply amazing. Of course, while working with this lens, mounted on my Fujifilm X-T1, I have felt the need for a faster lens (wider aperture – F2.8 or F2.0, like the amazing XF 90mm F2.0) and while thinking of a better background separation for my main subject, I started to enjoy using my zoom lens. I love the contrast and colors it produces, even if beyond 135mm I find it looses some of the contrast and gets softer, wide open. Also I have seen that the AF speed gets slower, when you zoom out beyond 135mm. But between 55mm and 100mm, the lens delivers rich and flavored images and I prefer using this lens within this focal range; only when it is really necessary I zoom out to the maximum of its 200mm. F4 might not be ideal for many, but at 100mm you get enough background separation and F4 ensures you get both eyes, the hair, the whole face in focus. While at work, I thought about changing my lens, getting closer and use my Helios 58mm F2.0 manual focus lens, which delivers great colors and nice bokeh. At F2.0 that lens is really soft, but at F2.8 it starts to get sharper. 1. Sharper, with better IQ (image quality), when using the lens wide open . Fujinon Super Electron Beam Coating ensures that you get great contrast and colors with minimum to non-observable CA (chromatic aberrations) and flare. 2. AF (autofocus) is a reliable partner when you want to get the perfect shot, quick (that moment may not come again) and limit your number of failed shots. 3. OIS (optical image stabilization) is of great use when you need to have clear, sharp images and stay at low ISO levels. 4. At 90-100mm you get a better image compression for your subject (compared to the 58mm focal length). 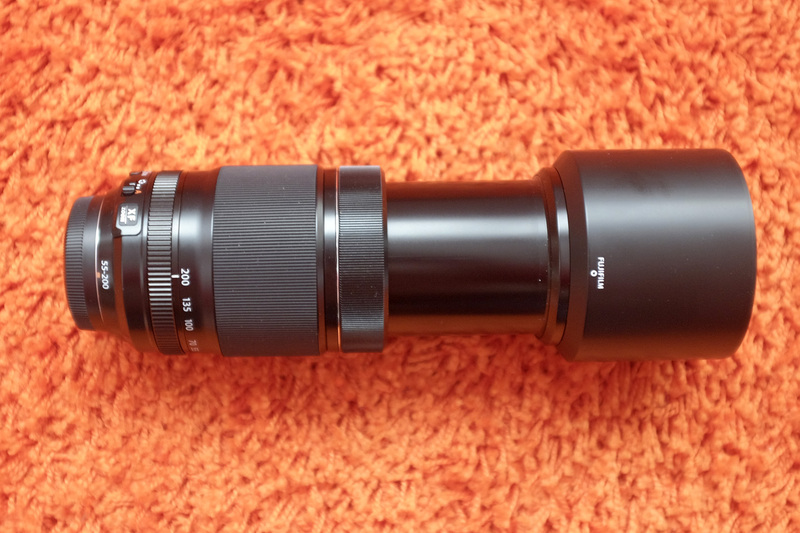 The XF 50-200mm is a reliable lens, very well-built with fine materials, operating smoothly. It may not be suited for professional work (lack of a faster and constant aperture at all focal lengths and lack of weather sealing), but it’s main strong points are the great optical quality, somewhat faster that other rivals from Tamron, Sigma, Nikon and Canon, for this type of zoom lens and a high level of build quality. Until a better alternative will come (the super fast XF 56mm F1.2, or the new & top performer in sharpness XF 90mm F2.0 or the mighty XF 50-140mm F2.8), this is my workhorse for portrait photography, when I need good image compression, incredible IQ (for this type of lens) and the benefits from a great and modern OIS. Just try it at F4.0 and 100mm and see the results for yourself! Wow, exactly my thoughts on this very underrated lens. In March I took this on a workshop and I am confident to say that the pictures I’ve taken with the XF55-200 were easily comparable with one made by other using the XF90. Thanks to this I managed to shoot my favorite photos from my Japan trips even if I have mostly the XF18-55 or the XF35F2 on my XT2 camera. Now I’ll check out other articles on your blog. Thanks for your observations! 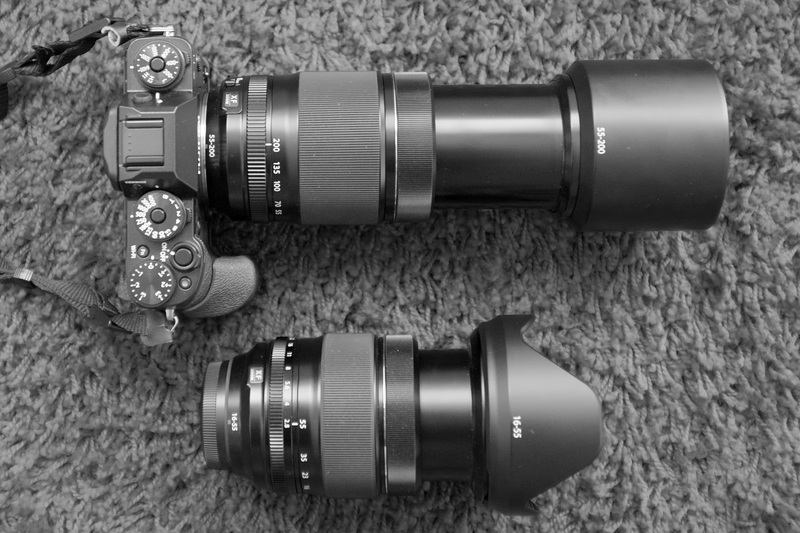 Fujifilm makes very good lenses. The difference between Pro level and Consumer level products is not so big, as I’ve seen between those two categories, at Nikon and Canon. And we all would like to use the best, but best result don’t necessarily come only from the best lenses, as photography is an art and you cannot quantify every aspect. Sometimes, not having the best, makes you avoiding to rely too much on your gear, but more on your skills and creativity.